You almost get a a "Why bother" feeling by looking at it. Sure, it looks really good. But does it really look better than the current one? Interior is still very nice, if a bit more conservative. Engines are pretty much the same, with a 2.4 Liter and 2.0 Turbo. And the 1.6 Liter Turbo also available in the new Sonata. Which, I think, should be the base engine. If GM can put a 1.5 L Turbo as the base engine in the new Malibu, Kia could sure do the same thing with their small/efficient 1.6. And what happened to THIS front end??? Very similar indeed. Looks good but maybe too close to the previous model? They've lost all the excitement of the 2011 Optima. The interior looks like a 2014 Mazda6. This front end will belong to Korean & European Optima, not for the US Optima. At least the greenhouse will be original. Kia and Hyundai have deluded themselves into believing that they can sell on name only now. Hah! Has anyone seen the sales numbers on the 2015 Hyundai Sonata? The Elantra, their smaller model, outsold it by some 57 percent in March and year-to-date, is Elantra sales are up 27 percent over it!! Ouch! Talk about a snoozer of a design that Sonata. Same thing will happen here on the so-called "new Optima". Let's see, they played it safe with the exterior, tweaked the interior a bit, and reduced engine output. Expect prices are probably going to do a creep upwards. Like the Sonata, Kia will announce an emergency redesign after sales start tanking!!! Nothing new here. I want to start off by saying that you should know by now to never trust the preview sketches because the production model never lives up to the promise of the sketch. 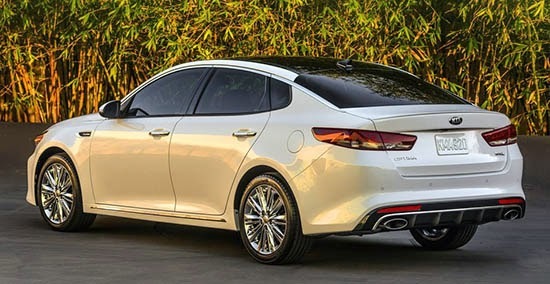 It looks like Kia tried to simply stretch the exterior design of the current Optima for the new car. It doesn't work at all. It's like trying to look at the current Optima in a fun house mirror. It looks stretched and distorted. The interior design is hopelessly bland. It may be more refined and covered in better materials, but it sure is a snoozefest to behold. 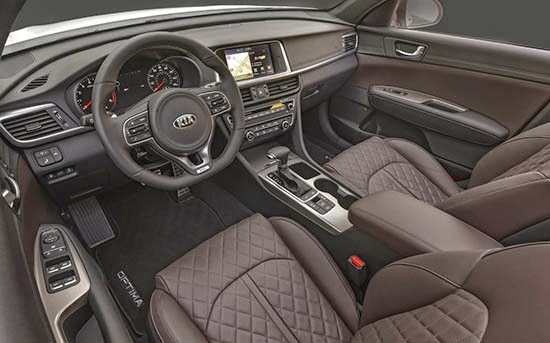 This is definitely an area that both Kia and Hyundai seriously dropped the ball in their midsize sedans (the current Sonata interior design looks dated and uninteresting also). It looks like Kia will be losing some ground in the midsize sedan segment. I see the current Optima everywhere when I'm out and about. I will be surprised if the same situation occurs with the upcoming Optima. Kia should have been more progressive and pursued a totally different design instead of simply attempting to evolve the current look.